Peter Jackson has already earned his place in the cinema hall-of-fame with his work on the Lord of the Rings trilogy. The scope and scale of the films was staggering, yet the end result sparked a whole new generation of LOTR fans. 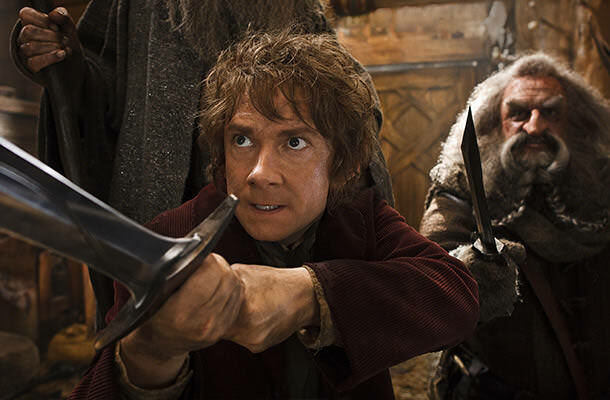 Now Jackson is taking a second swing at Tolkien in the form of The Hobbit trilogy. Anyone who is familiar with J.R.R Tolkien’s work will have already spotted the problem with that sentence: The Hobbit is one book. Jackson’s attempt to drag out his theater success by splitting a single book into three parts is strike one. If we could, we would put the first and second parts of The Hobbit on this list, but as this is for sequels only, we will content ourselves with The Hobbit: The Desolation of Smaug. There are so many things wrong with this sequel, it is hard to know where to begin. We could do a frame-for-frame recap on all the problems here, but it would all add up to the same thing: Peter Jackson decided to add his own touch to the story. This movie is riddled with scenes and characters that weren’t actually in the book! The biggest complaint Jackson had while directing the LOTR trilogy was that he didn’t have enough time to fit in all of the little nuances and details contained within the books. Now it seems he switched sides and is adding things into the film that shouldn’t be there. The whole trilogy was already ruined after the first movie came out, and now that we have the second, things aren’t any better. Maybe The Hobbit: The Battle of Five Armies should be added to this list in anticipation of its release?